This is not your average salt! 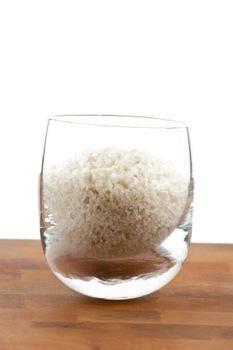 If you're interested in trying different kinds of salt, you should check out Celtic Sea Salt. This gourmet salt is unrefined, unprocessed, and in its whole state - and the difference is clear in the way it tastes. What Is Celtic Sea Salt? Celtic Sea Salt is actually a brand name, not just a kind of salt. Owned by a company called Selina Naturally, this special sea salt is harvested from the French countryside by salt farmers called paludiers. The paludiers use a method of harvesting the salt that ensures its purity and mineral balance are kept in tact, which in turn preserves its pristine flavor. The salt normally found in American homes is mined from huge salt quarries using heavy equipment, which is bad for the environment. Table salt is then refined through a series of processes that alter its chemical makeup. During this process the salt undergoes many changes in flavor, texture and mineral content because it is iodized, bleached, and mixed with anti-caking agents to prevent it from hardening. 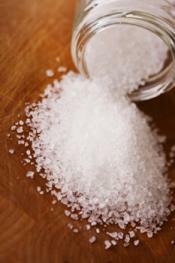 Needless to say, regular table salt is nowhere near its natural form by the time you add it to your food! Celtic Sea Salt, on the other hand, is harvested by artisan workers who take great pains to preserve the natural integrity of the salt. Their methods are also more environmentally friendly because the harvesters use a natural evaporation process that does not pollute the ocean with chemicals or byproducts. Salt in general contains a myriad of minerals, but the sea salt from Selina Naturally, contains a very special blend due to its source in the Brittany region of France. These minerals are naturally occurring, and are not added after the harvesting process. These minerals are very beneficial to your diet, just as they would be in any other nutritional supplement, and since they are naturally occurring, they may be more bioavailable in this natural form. Your body is full of salts, which are used to create lymph, blood plasma, and cellular fluids; the balance of these fluids are similar to the salt content of seawater. When you consume sea salt, your body uses all of the available minerals to produce electrolytes, which are necessary to keeping the electrical signals in your body functioning. As you can imagine, this is a very important part of your metabolism. If you're concerned about heavy metals such as arsenic, cadmium, lead, nickel and mercury in your salt, you should rest assured that Selinas Naturally Sea Salt is safe to consume. A recent analysis of the salt shows that all levels of these metals are either undetectable or well below the published safe limits! Try a different salt tonight for dinner. Sea Salt is available in three different forms, depending on which you prefer. Light gray is coarse, moist and light gray, getting its color from the clay that lines the salt pans is it evaporated in. This particular variety can be ground in a salt grinder or sprinkled directly on food for a little added taste and texture. Fine ground is simply light gray Celtic Sea Salt, pre-ground for ease of use. It is ready to sprinkle into anything edible, right out of the shaker. Flower of the Sea is a more rare form of Celtic Sea Salt, and is created only under certain weather conditions. Fine flecks of salt gather on the surface of the brine, and are picked for their slightly sweeter flavor. It is particularly good on seafood! No matter which variety you choose, Sea Salt from Selinas Naturally is a great addition to your spice cabinet.